When it comes to choosing active noise cancelling headphones, most people do like the over-the-ear style, though it’s not as portable as earbuds, with larger driver sizes they have more dynamic sound and control and offer more open sound stage. The over ear headphones themself have both pretty good noise-isolation by ear cups and active noise-cancellation functionality. Forget about discomfort caused eartip insertion, considering comfort, audio performance and effectiveness of ANC, we’ve rounded up 5 best noise cancelling headphones-Over The Ear under $100 on the market. They also come with less white noise and sure you will be supprised how they manage to do some parts of the high-end Bose QuietComfort 30 II or Bose QC35 II best ANC headphones for everything. For ear-bud style or in ear ANC headphones, check out this link. For more information about noise-cancelling v/s noise-isolating check out my post: Noice Cancelling and Noise-Isolating. You may not be familiar with the brand name, the Cowin, but they did make this, the Cowin E7 become Amazon’s top selling wireless, noise canceling headphone. It has a four star rating with more than 5,300+ reviews. Many products look exactly the same these days. The iDeaUSA Wireless is a new, fresh look of Bluetooth headphones, which is orginally designed.. The padding on headband feels soft and comfortable, its quality is good too. Rectangular Earcups with size and depth enough to full cover my ears. NoiseHush I7 active noise cancelling headphones are about 65 percent as good as the Bose QC15s for a little more than a fifth of the price. In other words, at a fifth of the price, you are getting more than a fifth of the bose’ sound and noise cancelling performance. It is not usual in this price range, NoiseHush I7 can do a lot of work. If you are new to ANC or just need the average of everything from audio. NoiseHush I7 is the best choice you could find. Pros: Volume control on the headphones, NoiseHush I7 was tested on train, They clear the clatter and wind rush. This headset also works well on the airplane-the engine roar. Cons: Battery box is hard to open when placing the battery. They require 2 AAA, you may need a tool to open the cover of battery compartment easily. The cable is light and flimsy. Sound is missing detail. Personally, I don’t think audiophiles and purists are much intersted in this headphones. On the other hand, we prefer the MEElectronics NoiseSHIELD over the competition for their rounded headband, superior comfort, and good noise cancellation effect. Pros: Attractive design the ratio between the size of ear cups and headbands seems to be perfect. They give you well fitting headphones. Other pro is that will see it stay neatly on your head and this over-ear headphones will not tend to loosen out your ears, you don’t need to do an annoying task fix them in the position. How about the bass response, you will be reasonably hit with bass when the noise-reduction is turned on. You can wear them for many hours without discomfort. The sound is not degraded much when the noise-reduction is turned off. Cons: Some sort of moderately heavy , big size-wide headband. You may feel hot if wearing in the warm weather. Obviously, this Big boy give “hissing sound”, but I is very hard to sort them out if you are not temping. That is being said, you will find white noise to be very calm, but when you play music with the noise-cancelling engaged, there will be no noticeably background noise. The Solitude brand is not among dominant brands in the audio industry, however what I was impressive with the Solitude is its design. 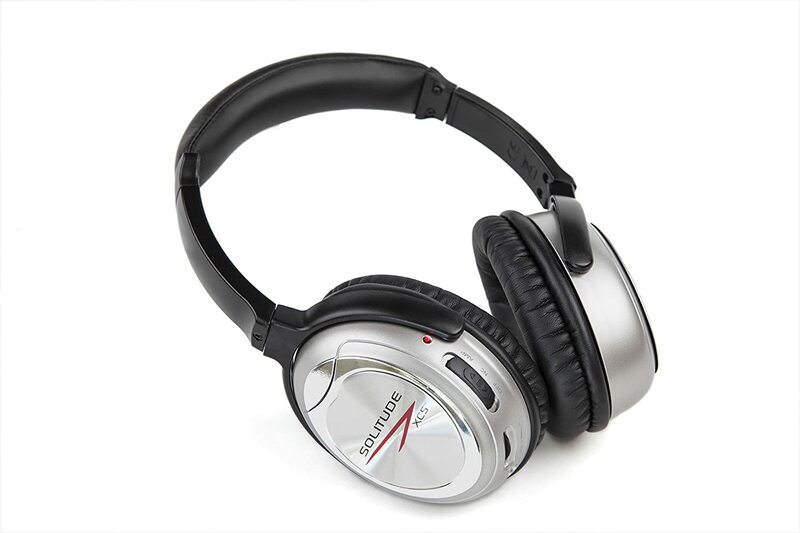 The noise canceling function works effectively in the wide range of frequencies. They deliver nearly all the traveller’ need for the time on-board. Pros: They are light weight and don’t pinch too much to be able make your ears turn to “red”, which is one of the best comfortable headphones in this price range. Solitude XCS especially features additional amplifier to boost the sound and volume dial on the earpiece, 3 positions of the slide switch: on, off and amplifier. They can run the main function-noise reduction for up to 40-hour. Cons: Solitude XCS require 2 AAA. Personally, I feel they are likely Earmuffs–quite big but can function like a good headphones. Do you find any challenge if you go online to pick up headphones for your time on-board? The first and formost things you would think of is comfort and great sound quality, price and capable of effectively blocking out the noise from airphane engines. Put all these features together, you can get your search done with Audio-Technica’s ATH-ANC1 QuietPoint noice-cancelling heaphones. They are validated by ton of reviews from trusted resources and users’ reviews for both price and quality. Literally, they are able to reduce up to 80-85% ambient noise. Who is it for ? If you are a frequent traveller, Audio-Technica ATH-ANC1 is absolutely a good choice, because it is fairly effiective for noise-subtraction to noise of jet engines during on-board time, and tunes a decent bass quality. Appeared in 2010, though there are many Iphone Generations has been introduced, tech has been envolving fast but the Autio-Technica still keeps the populariy due to its affordable price and decent sound quality. Pros: Design: compact, lightweight, excellent fit, feel solid and stable on your head. Cons: For a long time use, say, a year, the coating and housing start to tear apart. They may be easily broken , which ever happened to my Beat Solo HD once I tried to take them out of my ears while sitting on my motorbike because I am wearing a helmet :). So be careful when you handle this boy around your ears. You can enjoy pure music whether the noise-cancelling feature is on or off, but the quality will be dropped a little bit when you switch off the button. This headphones requires lot of amp power, so it is ideal to plug in laptop, or table, for smartphones it may not get to your desired volume levels. It’d be better to with the NC is on, music is much impoved with detail, bass and alive and crisp. Technica’s ATH-ANC1 QuietPoint noice-cancelling heaphone was well designed, engineered enough to convince the frequent travellers to take action-clicking order button when they reach out the features and sound quality . The ear-pads fit to all ear sizes, not go big; the headband is flexible, adjustable sizes, however you may feel it cheap because of the plastic material. When it comes to over-ear headphones, you would think of bulky or heavy, it’s not the case with this headphones. Unfortunately, you will see the padding is not present because the manufacture intended to avoid the headphones from bulky look. You will have relaxed wear, and they may cause a bit unstable. Mover over, they hold around your head not so tight. The ear pads are packed with thick soft leathrette is a plus point. The cable: Y-joint. Clip to your Shirt. Audio-Technica’s ATH-ANC1 QuietPoint is capable of cancelling out noise at acceptable levels, not significantly. They work great in coffee shop with moderate volume levels. If you turn the volume up, all chatter are flying away. If you like listen music loud, as mention earlier you need a more powerful output. Otherwise, from mp3 or smartphones may not get you “high”. However, looking at the big picture, Audio technica brings about balances and variety of music genres, you can enjoy, pop, R&B, dance and more. If you can’t afford premium and powerful Bose’s QuietComfort noise-canceling headphones, the good looking, round design and more affordable Plane Quiet are really worth your consideration. They look attractive, stylish, and quite “fat”, as you can see in the whole, which brings about the smooth and soft feeling on your head. You will notice with bass, not overwhelmed just so so. Pros: The thick soft layer of padding top is pleased to your head. They are pretty good for noise supression. Cons: The problem with the durability. While it is foldable, be careful to un-fold it. I feel it loose in my hand. The plastic materials of earcups and headbands are not so easy to crack at pivot when pulling out, but be careful each time you handle those. Plane Quiet has the same downside as other, sound quality is degraded when ANC is turned off. They may be tight to your heads due to the size and are actually not very flagile as many users complains. Ear cup paddings are soft but can’t last very long, will be worn out after one year if used daily. Sony is still one of my favorite brands in the audio industry, you can find them among the top rated of all types headphones: best in-ear headphones, best earbuds, best waterproof earbuds, best bluetooth earbuds and more. Design and features: Compared to Audio-Technica’s ATH-ANC1 QuietPoint, Sony MRDNC7 is bigger in size and sturdier. The whole built is pretty solid. According the SONY, Sony MDRNC7 effectivly reduces 87.4% of the ambient noise and it has extended 25 hours of battery (AAA) life-time, the normal long flight around 12 hour, so you can enjoy the ambient-noise free for almost every flight. Pros: The price is nearly a half of Audio-Technica ATH-ANC1 QuietPoint. If you are on a tight budget, this is a good choice. One of the prefered feature is that battery compartment and the on/off button conveniently positions on the earpiece. Cons: Flimsy plug, they are easily to drop. The design is quite boring. Some user notice the white noise, but it is minor. The padding is almost nonexistent, similarly to Audio-Technica ATH-ANC1 QuietPoint giving somewhat uncomfortable pressure from both sides of earpieces and the hard plastic band. If you wear for a long flight, however, the headband wrap neatly around the head. Sound quality and performance: They produce fairly good sound-not a big deal with details. The bass might not be satisfactory for bass lovers. In addition, sound quality is slightly reduced when turing off the noise-canceling funtions, which is common for ANC headphones. The noise cancelling works just fine during flights. On sales since 2008, Sony MDR-NC7 still does the trick. It’s the best for the price range less than $40, and just good for quality of sounds and noise-cancelling function. You probably have a cheap Panasonic with good sound quality: Panasonic Ergo-Fit RPHJE120K. 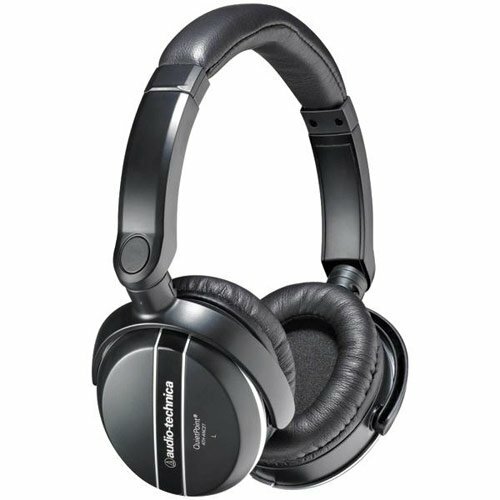 Panasonic RPHC200Y was emerged for their good audio performance, the noise cancellation can be rated positively. Pros: This Panasonic, a cute boy, is one of the most comfortable ANC headphones with solid construction, which is in combination with the average audio profile that make it a standard heaphones. 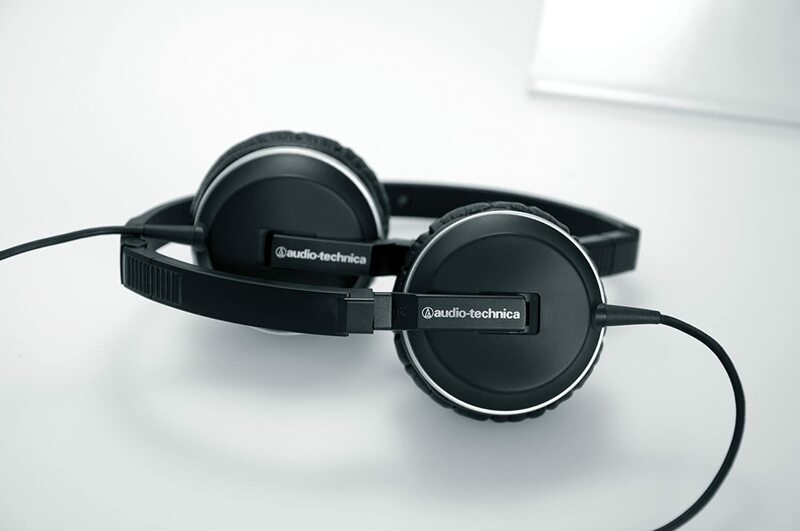 Apparently, its design and comfort are better than Audio-Technica ATH-ANC1. Cons: When played high volumes some sounds are distorted like horns or string instruments. This is truly best in term of the mixed budget-conscious, above the average in sound quality and noise-cancelling. With the price tag $70, it is a rare headphones which does a good job. Pros: Rated as 4.5 for comfort. No sound distortion, bass is deep, but not terificly to dance your heart beat. Cons: Without noise-cancelling function tuned, this over-ear headphones do a little. I put all thing together for you to compare them in prices. You will find the sizes and quality of the 10 best cheap noise-cancelling headphones. The JVC HANC250 combines average noise cancellation with decent sound quality. They come with an affordable price for frequent flyers who are seeking to neutralize ambient noise on the flight. Pros: The bass response of these cans is the best of the bunch. Very pleasant to wear with padding on headband. The sound quality nearly reaches high-end headphone performance. Cons : The cable is short, the most expensive in this our list. Alternatively, you can choose JVC HANC80 for a cheaper price. While some folks complain about the build quality and in-efficient ANC performance of most headphones in this class. The ANC27 overcomes those common flaws by the superior comfort and effectiveness of ANC. The upgrade of ANC1 with the soft padding offer a more comfortable fit. The ANC27 is very good for both noise-cancellation and sound quality. It presents the least white noise level, when music is turned off, the only thing you can hear is the calming white noise remaining. Pros: Though these cans are heavy, the noise cancelling performance is sonically improved much compared the first model–ATH-ANC1. The battery box positions on the right earpiece, and you can easily open the cover to replace the battery (1 AAA included). Sound quality is decent, the bass is crisp and quite open, typically there is no distortion at high volume. Cons: They look a little bulky with small ear pads, and the cord is a bit short. Even though when you turn maximum volume, they will not totally put you to high or overwhelmed music due to their high impedence. The overall rating is dependent on the customer’s review, sound, quality, and comfort and price. The highest score is 5 stars. As you know the high-end Bose quiet comfort 15 or PSB M4U 2 just got 4.0 star for overall rating.(*CNET). We did not give scores for the noise-reduction performance, because they really rely on the where you wear these headphones. If you are not sastified with the sound quality and features from 10 above, there is the top rated high-end the Bose quite 15- The business class. Finding an good headphones like doing a research. I did this search in the hunt for the one I will use. Hopefully, you will find your favorite headset with cheapest prices. Sony Noise Cancelling earbuds NC31EM, Unfortunately, this earbuds can only work with Xperia Z2. Audio-Technica ATH-ANC23 active noise cancelling earbuds, it can be a replacement of ATH-ANC23 over the ear model. Monoprice Enhanced Active Noise Cancelling Earphones, According to Monoprice, the earbuds can reduce up to 99% ambient noise. More About Noise Cancelling Headphones. I will specify the common features about these budget friendly noise cancelling headphones and why they are worth it. It’s amazing that even when you are in very noisy areas, you are still alive with just only music. In a library having this headset on, you will not only shut off the noise someone walking around, but this helps you more concentrated on your study in a silent world. Wearing a headphone, like have a style and colorful cap making you look more fashionable, as you can see Beat solo HD can created a culture phenomenon among artists, when having this thing on their head, they look more cool and stylish. The earbuds without noise cancelling function, may force you to play high volume levels for better noise-isolation, which leads to potential hearing damage. However, with noise-cancelling heaphones you can listen at lower levels with more calm and more detail about music, as I said in the noisy areas. Most of them are foldable. When the first time you wear them, they may put a lot of pressure on your ears, after several month the headbands will become more flexible more relaxed wear. Because the diameter of the headbands together with size of earpieces dont fit to all sizes, although they are adjustable, So be sure check the size of your head, some possibly are big or to small to wrap around your head. In our daily life, we can’t avoid the noise from horning, loud music, lawn mowers, or someone talking loudly on their cell phones. Even on the metro train, you still hear some engine’s noise or a couple chatting loudy. Exposed to the high noise level in the long term may lead you to become stressed. The easiest way to escape from these noisy environments while you can still enjoy your favorite tracks is wearing a noise-cancelling headphones. Sometimes, operating electric machines like lawmowers, electric chainsaws, or drilling you hear a lot of noise, without earmuffs wearing a noise-cancelling headphones can suppress nearly all awful sounds. If you are looking for headphones with this feature, you probably know how a noice cancelling headphone works. 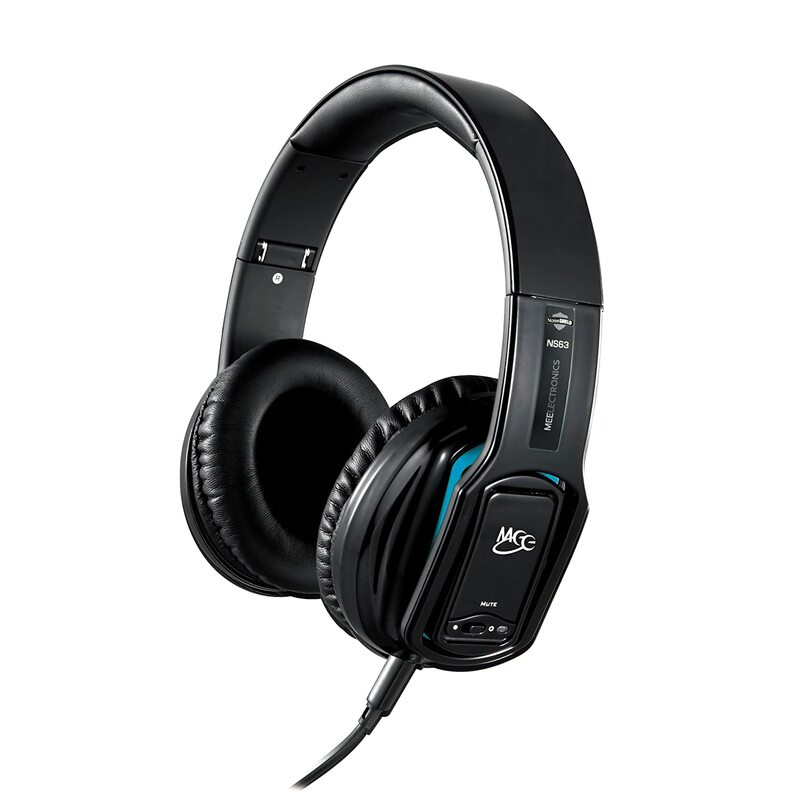 They are equiped with a noise-cancellation circuitry. Basically they eleminate the ambient sound by producing the frequencies that will cancel out the in-comming external sounds. The limitation of these headphones are they requires battery to run the noise-cancelling function. You are expected to re-charge or replace the batteries. Additionaly, they would be for “sitting and enjoying” rather than mobility. While they actively cancel out the common sounds from engines–consistant frequencies, they work just fine for voices like colleage’s chatting, baby’s, snoozing, which is not significantly affected. So, the combination of housing of earpieces with good noise isolation and noise-cancelling function will handle well both low (voices) and high frequencies (from electric, machenical machines). There are typically 2 types: on-ear or over-ear. The ear-buds model, I will introduce latter in this post. – Taking the listening environment to rate the headphones is fair to judget the quality of these noise-cancelling heaphones, if you sit in a quiet room and compare two pairs of headphones: one with active-noise cancelling, the other not. Definitely the latter is better. However if you take them on the flight where the noise level is high, you will find the difference. So what? at the same volume level, music from a noise cancelling headphones is more clear than the normal ones. Comfortable wear – The feature a lot of people pay much attention, means the pressure put on your ear not to tiring or over tight. We rated as highest 5 for the most comfortable feeling even for the long hold. Sound quality: This is the most important-crucial point, all people are taking this point when they starring at the specs and overview of the products. Of course, you can’t try the headphones online, but reviews are helpful. Design: the headphones can be compact and lightweight. Yet, more importantly it is about the harmony between size and weight, which will make you feel solid. In other word, we can say ” ergonomic design“. The ability to handle ambient sound as well as the noise range–ANC performance: Some manufacturers claimes: 90% in real life. The battery life: Re-placeable AAA batteries and re-chargeable batteries. They should not generate a loud static noise-“hissing” – annoying sound that may hurt your hearing. It noticeably comes from cheap and -un-qualified headphones. A lot of people hate this noise. – What is the affordable price for you? I will set the threshold under $100. If you are seeking for the best noise-cancelling heaphones overall, visit: 10 Best noise cancelling headphones of all time. Note: Don’t misunderstand when you look at the title of headphones the some products from sellers on retailer websites they put the title including “noise-cancelling” by mean of ear pad noise-isolation (passive noise-cancelling), but actually these headphones don’t have a cercuit to produce inversed wavelengths to ambient wavelengths. It should be named “Active noise cancelling”. Anyway, you need to read detail about the product or 10 best headphones that I mentioned in this post are 100% anchored to active noise-cancelling features. Picking up one of those budget noise-canceling headphones–great travel companion, your long flight will turn out to be more relaxed. You can take a deep sleep or enjoy pure music on the air without interference of jet engines. Bring about a positive mood at the destination. What,is the best noise cancelling headphones among these. I personally find these full headphones uncomfortable but I know my father can use a new pair. I will look into these for a birthday gift. I had no idea there were so many good ones for under 100$! I always thought the best ones were $200+ which to me, is way too much to spend on headphones.